Death by Grammar: Where I desire my writing to take me. 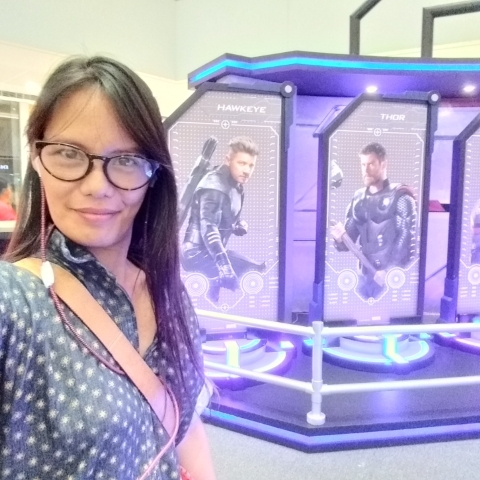 This was me after a job interview, and I happened to pass by the Avengers display at the SM Megamall. I took a few photo and it was like a hit & run. I didn't have the patience to wait for other people to finish taking their photos with the display so I sneaked one and didn't bother to ask the attendants if they can take a shot for me. Anyway, eventhough I went home empty-handed, I'd still say that it was a fruitful day and it wasn't at all a loss. In a lot of situations, I believed that when something is meant to be yours, no gates of hell can stand against it, and God never gives a blessing with sorrow in it. And in a lot of time, I always go by #carpediem, and not wait for things to happen and I hold it with both hands. This particular opportunity may not be mine because I'm only a writer-at-heart, nor do I have the formal education or training to be in position. My only consolation is I learned more about what I need to improve on and that I'm still a damn fighter in spite of my fears and perceived shame. 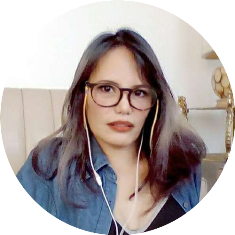 I'm proud of myself because I braved another challenge; I'm not a college grad, not a trained journalist or technical writer and I may be over aged for the Philippine employment standards - it didn't mattered. I gave it my all, to the best of my ability. I proved that I can still be relevant in this dog-eat-dog world. So when the evaluator asked me if I have questions, I simply replied to for an honest evaluation of my writing. I was told that I'm too long winded, and that I should learn word compression, especially when writing for a magazine and spot news. Admittedly, I acquired this habit as a content provider, because I have been banging shitons of paid content and whenever I'd run out of things to say, I default to passive voice just to complete a 250 words something assignment. I'm thankful for the correction I received about my writing skills. It will help guide me in my future endeavors. I still have my blogs, my own domain where I am the queen and I can do whatever I wish. I will continue writing even if it kills me, it's no fcking anyone's business. Here, I shine like a star. I am the protagonist in all my stories. I can build this blog up as my portfolio, continue adding more words to my vocabulary and maybe be a bit more relatable at the same time keeping my personality in my writings. If I cannot speak, the my writing is my voice. Of course I cannot expect things to happen for me overnight. I need to work hard for it. I may be 65 when I finally write or finish and publish my book. But if God is going to allow it to be a bestseller, damnit, I'm all for it and that's how it's going to happen! Wherever my writing takes me, I know it will bring me more memories to reminisce about and maybe become successful at creating written contents in the future. Kusina de Maria, your one-stop-food shop.